The aloe vera plant has been used by humans for thousands of years, and was probably originally used in Ancient China and Egypt to heal topical wounds and burns. The aloe vera tradition has persevered into the present, and if anything, our global society’s use of the plant has only expanded. Today, aloe vera is cultivated on a massive scale, and aloe vera gel or aloe leaf extract can be found as the base ingredient for any number of beauty products. People are even drinking aloe vera juice due to its health benefits. Aloe vera has many topical uses, from skin moisturization to hair conditioning. But one of this plant’s most powerful uses goes back to its ancient origin as remedy for wounds and burns. Thanks to its healing properties, aloe vera can help to diminish acne scars. The appearance of acne scars can be extremely embarrassing and frustrating. Early in our lives, we’re generally told that acne is a teenage problem that will go away when we reach adulthood. 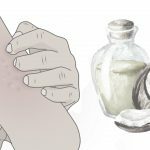 But many of us will continue to suffer from acne into our adulthood, and even if the condition clears up, we can be left with distracting scars. Enter aloe vera gel. This substance is rich in vitamins, antioxidants, and other nutrients that can strengthen your skin’s natural repair function. Antioxidants fight damage from free radicals, soothe inflammation, and stimulate cell regeneration. Meanwhile, aloe vera’s complex of proteins, sugars, and plant hormones helps to boost collagen and cell growth. All this means that, with repeated application over time, aloe vera gel can deliver important nutrients that help your skin to repair from scarring. Aloe vera also has acne-fighting properties, so if you’re currently suffering from acne, you can use it to heal acne scars without worrying about it causing further breakouts. The effects of aloe vera on wound healing have been clinically proven, and not to mention, featured in dozens of before and after videos on YouTube. If you’re wondering how to use aloe vera for acne scars, keep reading for a full guide! We recommend using organic aloe vera gel for the best results. The texture of aloe vera gel makes it a great base for DIY face masks. We’ve combined aloe with honey and rosehip oil—both high-strength healing ingredients—to create a face mask that packs a punch. Honey is a natural humectant that helps to seal in moisture and deeply nourish your skin. 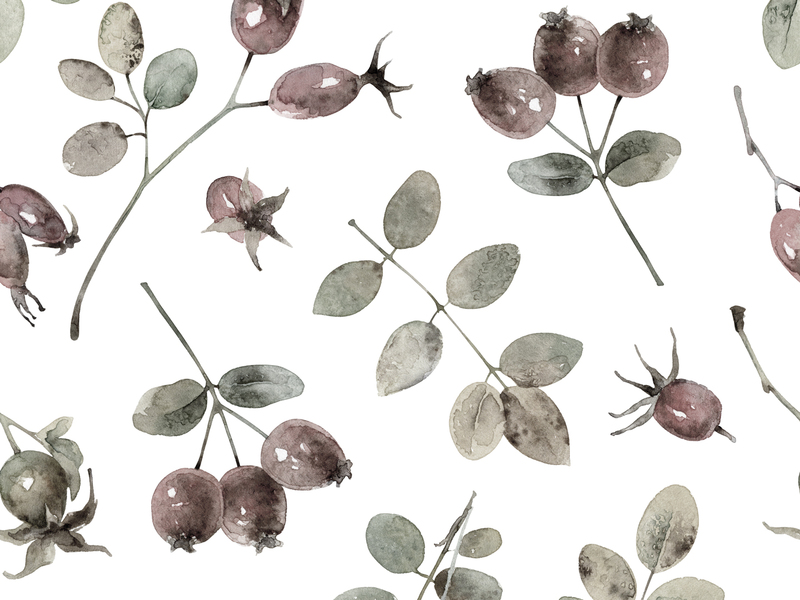 Meanwhile, rosehip oil is rich in vitamins A and C to help stimulate collagen production and brighten your skin. To make this mask, combine 1 tablespoon of organic aloe vera gel, ½ tablespoon of pure honey, and ½ tablespoon of organic rosehip oil in a bowl and mix thoroughly. Apply the mask to clean, dry skin and allow it to sink in for 10-30 minutes, then rinse. Gentle exfoliation can help to stimulate collagen production and cell turnover, and can also improve your skin tone by removing dead skin cells. We’ve combined aloe vera gel with vitamin E-rich almond oil and almond flour to create a concoction that nourishes while you scrub. The vitamin E in almond oil and almond flour is an essential nutrient that boosts cell regeneration, stimulates collagen production, and moisturizes skin. To make this gentle scrub, combine 1 tablespoon of organic aloe vera gel, ½ tablespoon of almond flour, and ½ tablespoon of almond oil, and mix to form a paste. Apply the mixture to clean, dry skin and carefully brush over the skin in small circles, avoiding your eye area. Continue brushing the mixture in for 1-2 minutes, then rinse and follow up with a moisturizer. If you’re seeking a more low-maintenance solution for your acne scars, consider a spot treatment with organic aloe vera gel and lemon juice. Lemon juice is a great partner-in-crime for the aloe vera gel, as it contains plenty of the brightening antioxidant vitamin C.
To make this simple DIY treatment for acne scars, just combine 1 tablespoon of organic aloe vera gel with 1 teaspoon of lemon juice. Using a q-tip or clean fingers, dab a small amount of the mixture onto problem areas, then simply allow it to sink into your skin. 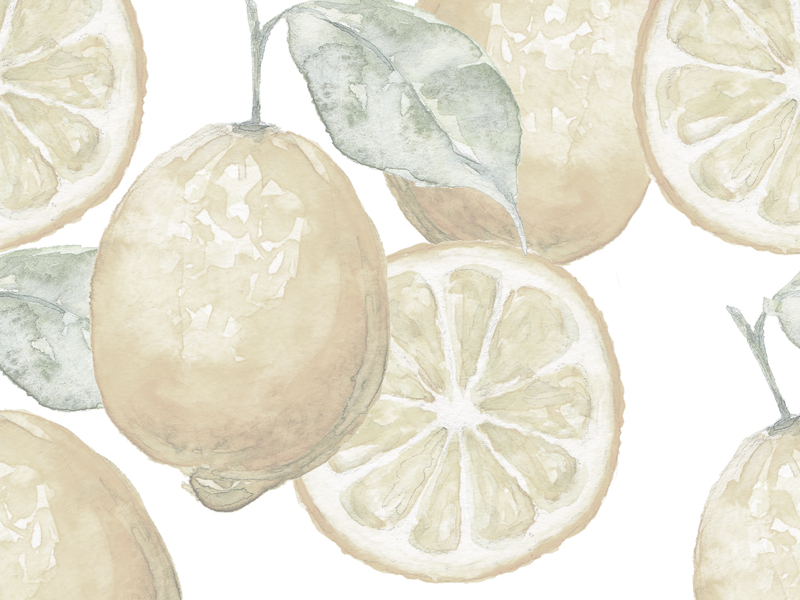 (Pro tip: Make sure you know how your skin will react to the lemon juice before using this treatment. If necessary, dab a small amount onto your wrist as a tester.) Remember to follow with sunblock if you’re going out, as citric acids can cause photosensitivity to the sun. You can also create your own DIY treatment with aloe vera gel! 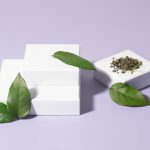 Consider pairing it with green tea, an anti-inflammatory substance that is also rich in vitamin C. Or use our comprehensive guide to essential oils for skin to find an essential oil that will work in conjunction with the gel. Always make sure to let topical wounds close fully before applying aloe vera gel. It’s great on scars, but not on open wounds! Whether you’re purchasing pure aloe vera gel or an aloe-based product, it’s important to understand what to look out for: For instance, you should never buy an aloe vera product that’s bright green in color, as this indicates that the product contains artificial dyes. Natural, uncolored aloe vera gel should have a yellowish-green hue. Meanwhile, you should always make sure to look for aloe-based products that are organic and free of parabens, phthalates, sulfates, silicone, petrochemicals, artificial fragrances, and dyes. 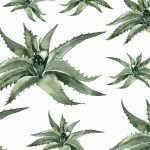 To get all the facts as well as a list of our favorite organic aloe vera gels, check out our guide to aloe vera. 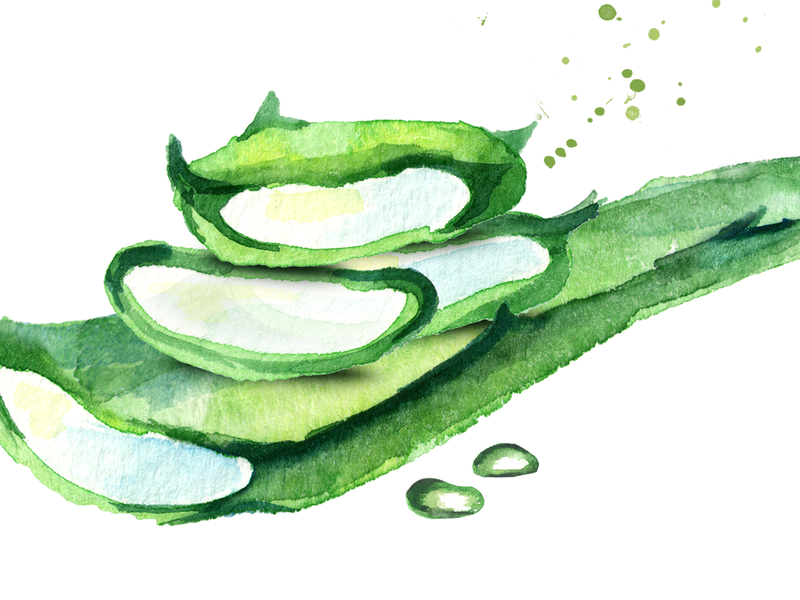 Aloe vera gel has proven benefits for scarred skin, and limited research suggests that drinking aloe vera juice can also help to improve skin health. Whichever way you choose to use aloe vera, we’re sure you’ll agree with the ancient civilizations that this plant is an amazing remedy for the skin.